The above image has been supplied by Soraya Scholfield, who I featured last week in SkyLightRain’s Inspiration slot. The story about Soraya’s Mendips House series of images of her childhood home set my imagination whirring. 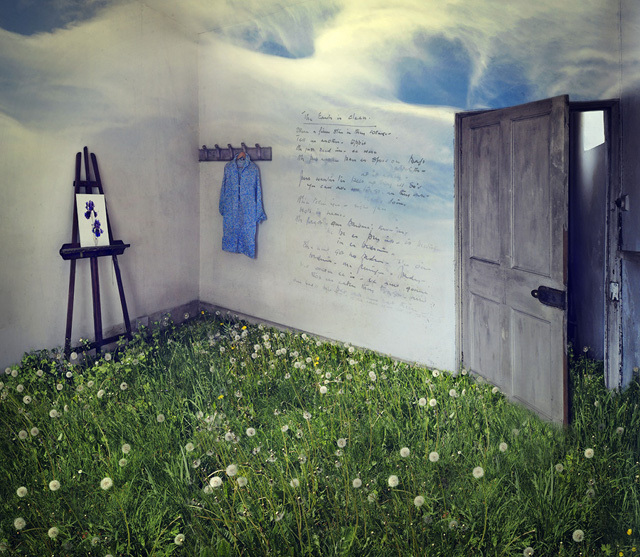 Imagine if somewhere dear to you was abandoned for several years, so that the cushions filled with field mice (think that may feature in Frances Hodgson Burnett’s The Secret Garden), and dandelion-stippled lawns flourished in the floors. Picture wild flowers strewing the staircases, and trees sprouting through the walls. Then think about what might bring you home, and how you might respond to nature’s intrusions. This entry was posted in Writing prompts and tagged inspiration for writers, Soraya Schofield, story ideas, writing inspiration by Judy. Bookmark the permalink.